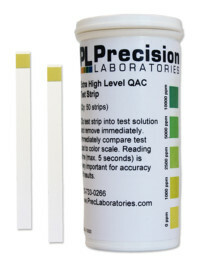 The Extra High Level QAC Test Strip (Quaternary Ammonium Compounds) measures the range of 0-10,000 ppm in increments of 1000, 2500, 5000 and 10000 ppm, and gives results in just seconds. 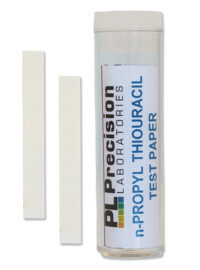 Check for higher levels of QAC when testing stronger solutions that kill pathogenic organisms, as opposed to testing for residual QAC with our Low Level QAC test strip, or our standard QAC Quick Response Test Strip. 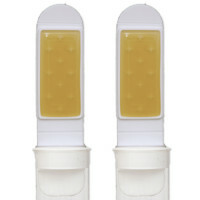 Remove one test strip from the vial, being careful not to touch the test pad with your fingers. 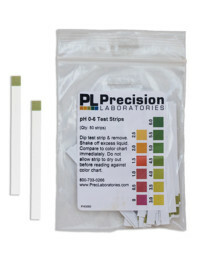 Dip the test strip into the solution to be tested and remove immediately. 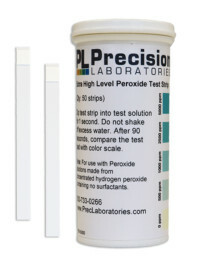 Immediately compare the test pad to the color chart. 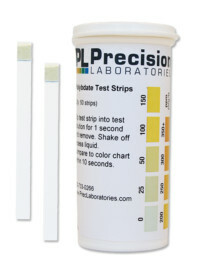 It is very important for the accuracy of the results to read the strip immediately (the maximum wait time is 5 seconds).